More stock arrived yesterday & today. We received another order in from 2 Crafty chipboard, both top up stock & some yummy NEW release pieces too. Soooo nice!!! 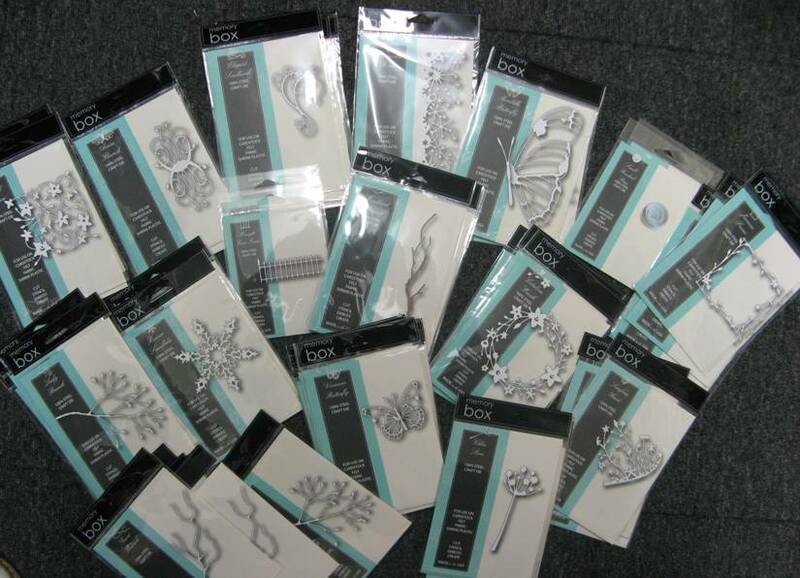 We also received yet another top up order of the fabulous NEW "Memory Box" dies. These are just devine. Finer & much more delicate than anything else on the market, but the best thing about these is the price. These are so well priced. Much cheaper than most other brands. Scroll down & see my card for this months card classes & you will see where I have used some of them. 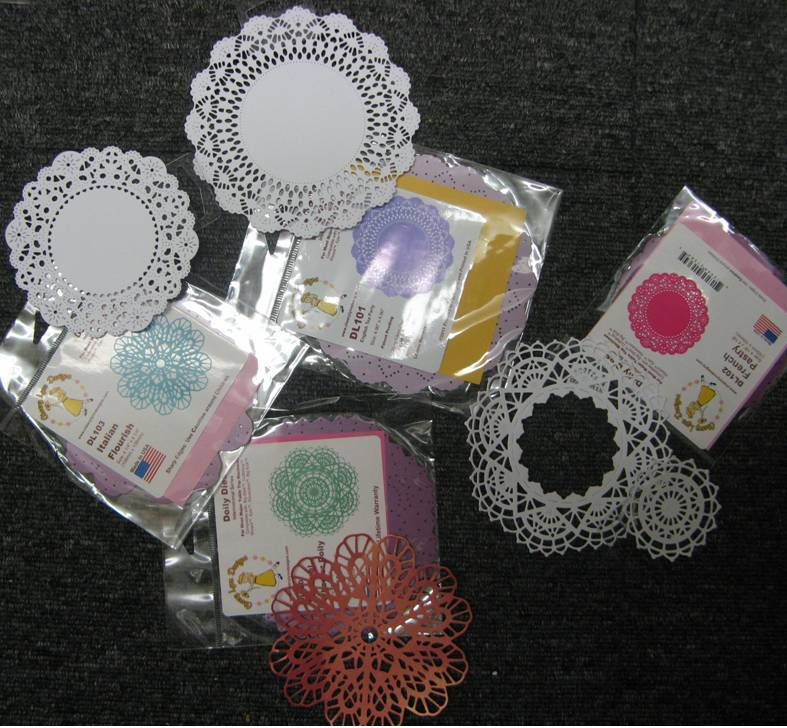 These are another NEW Doiley Die Cut we have just received stock of. Again, very fine & soooo pretty. These look great on both cards & scrapbook pages alike. 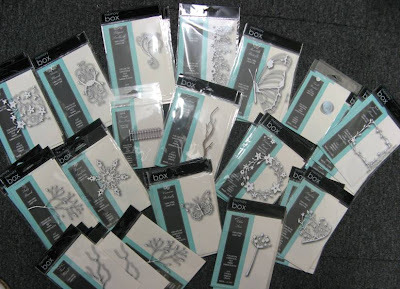 I actually use them on lots of my scrapbooking, very girly & feminine & great to layer with. 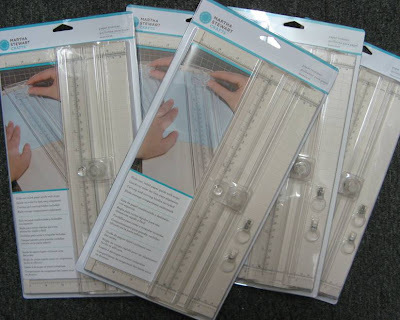 We also received a top up order of the Martha Stewart Paper Cutters. I think I said before that these are without a doubt the best paper trimmer I have ever used. Real solid & well made & we know that "Martha" does a quality product. We also got some NEW paper ranges, top ups of Glimmermist as well as loads more top ups too To many to photograph them all. DON'T FORGET THAT WE HAVE LATE NIGHT SHOPPING NEARLY EVERY FRIDAY NIGHT.